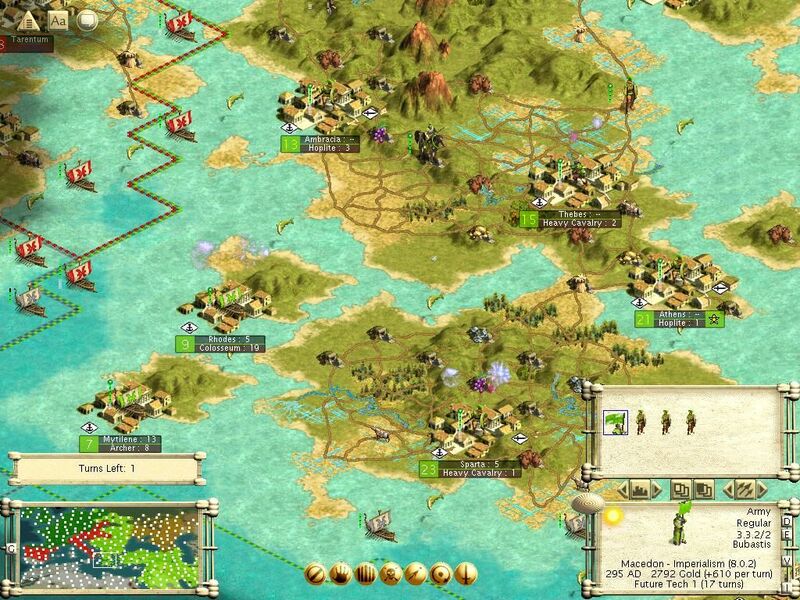 Civilization is one of the most popular strategy games of all time, the series was created by legendary game designer Sid Meier who had already made a name for himself in the game industry before Civilization was released, one of his most popular games was a game called Pirates, I am planning to play through and review all six games (six games as of now) in the main series but with there being so many of them and not too many differences between each version we will be taking a look at three games per review. We begin our look into Civilization with the original game which is often referred too as classic Civ, the goal in Civilization is that you are a world leader who is essentially in complete control over a continent (you choose a race of people before starting the game) I chose to play as the Zulu’s meaning that I was playing as the world leader of Africa, the goal of the game is to try and build as many cities as you can while also being able to maintain the safety and happiness of your people. You will often find that other world leaders may visit your cities offering to make trades of knowledge or money and far too often they will start a war if you refuse these offers, I had particular trouble with Frederick the world leader of Germany, he would often make a peace offering if I gave him knowledge, not much later he would offer to keep peace between our two continents, this kept happening multiple times before I had enough and took over the entirety of Germany so jokes on him. The game is a lot more complex than it may seem, first of all its your responsibility to see that your continent and people are able to evolve over time as the game takes place over hundreds of thousands of years, you can actually play the game for such a long time that you end up in the space age which is very cool, during the course of the game you will need to send your wise men to research new topics which will allow you to build more useful items such as defenses which surround your cities, the ability to attack over seas and more powerful armies, the game will often give you historically accurate information making it a fairly useful learning tool. 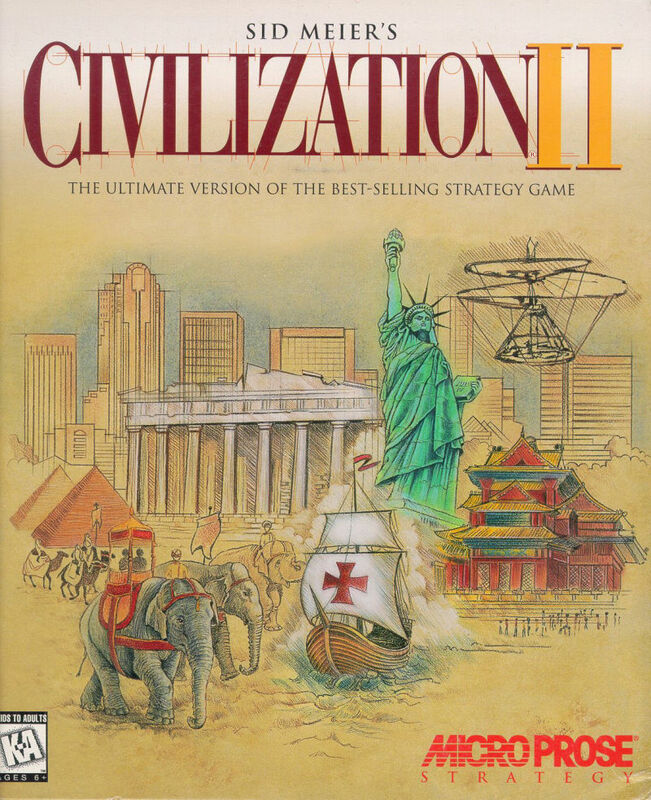 The original Civilization is a great game and a classic that will always stand the test of time, a lot of DOS games were not capable of producing very good sound so the lack of music and audio is not something I feel is fair to complain about, graphically the game is fairly impressive for a DOS game but some parts of the game are much more visually appealing than others but again that could be DOS limitations but I suppose we will see if this improves in the sequel. Another thing that was a great addition was the much easier to use cheat mode, in the original game you could use small cheats to activate certain features including showing the entire world map, in this game you can access all cheats from a click of a mouse and as much as I dont condone to using cheats myself i am sure that some people would enjoy giving themselves a full treasury,unlocking all skills and other special unlockable features. After my disappointment with the last game thank god I enjoyed Civilization 3, first of all this installment brought back everything that I missed in the second game, it had great animations, a full cgi opening cutscene, lots of choice for land customization and you can finally play as either males or females for each race in the game, not only that but as well as the usual Civ game mechanics Civ 3 tops both previous installments by adding online multiplayer (that works) and challenge modes. the soundtrack is very good here, I complained that I was annoyed with the lack of ingame music in Civ 2 but in Civ 3 the music is relaxing to listen too and is not on a constant loop so you can enjoy a large variation of music tracks during your long Civ games. 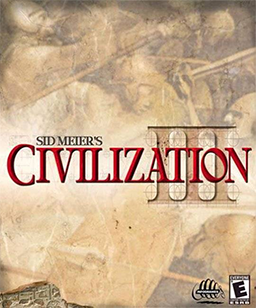 Civilization 3 is the best Civ game out of the first three in the series and for what it provides it is worthy of its £2.99 steamprice, however this is not the best Civ game for new players, I give that title to the original for its simple design and much more useful advisors who advise the player without needing to be asked. I had a blast playing these old Civ games, out of these three which is your favourite and do you agree with my opinion on the games so far? Hopefully it won’t be long until we are reviewing the next three games but until then.